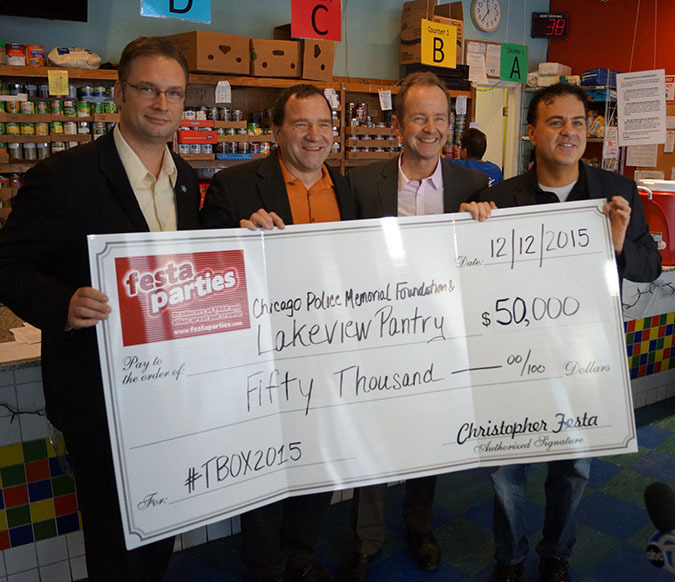 Now You Know Events: TBOX Spreads Holiday Beer…. I Mean Cheer! 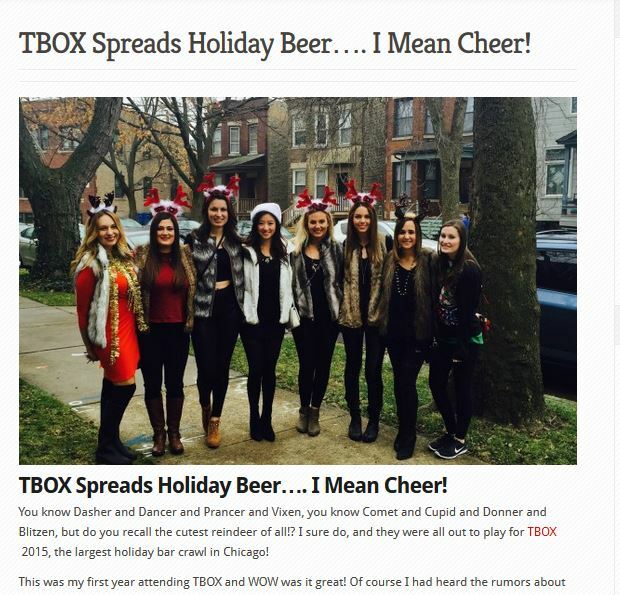 Now You Know Events Article on “TBOX Spreads Holiday Beer…. I Mean Cheer!” – Link Here! 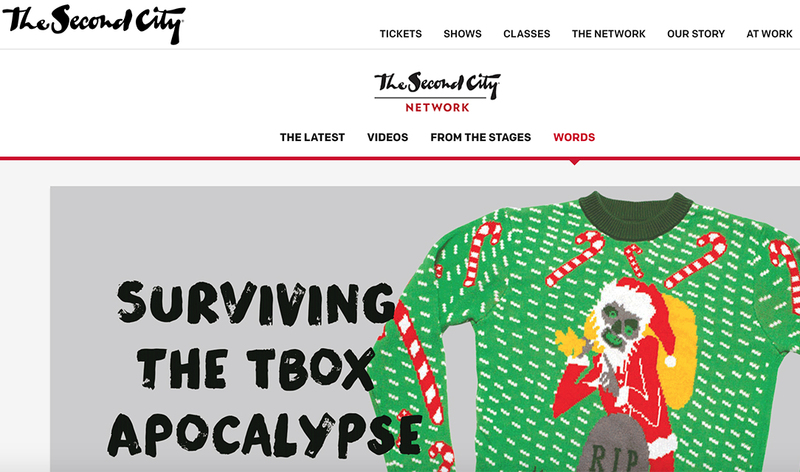 Second City Network features “Surviving the TBOX Apocalypse” – Link Here! 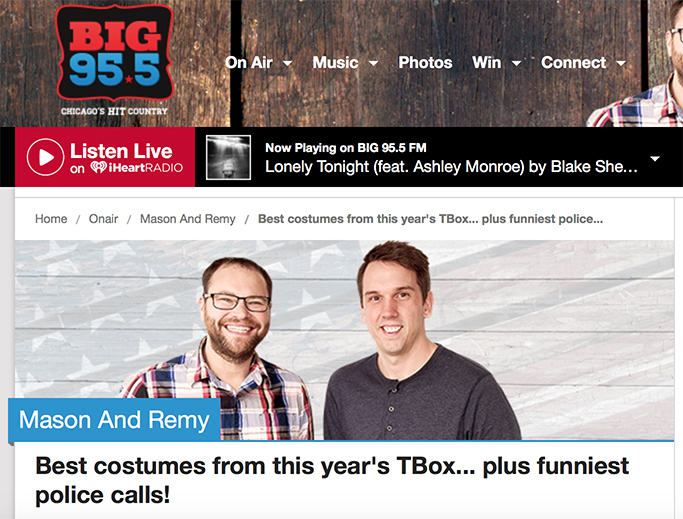 Big 95.5 Chicago Country Radion Station features segment — “The Best Costumes From TBOX 2015 PLUS The Funniest Police Calls” – Link Here to View! 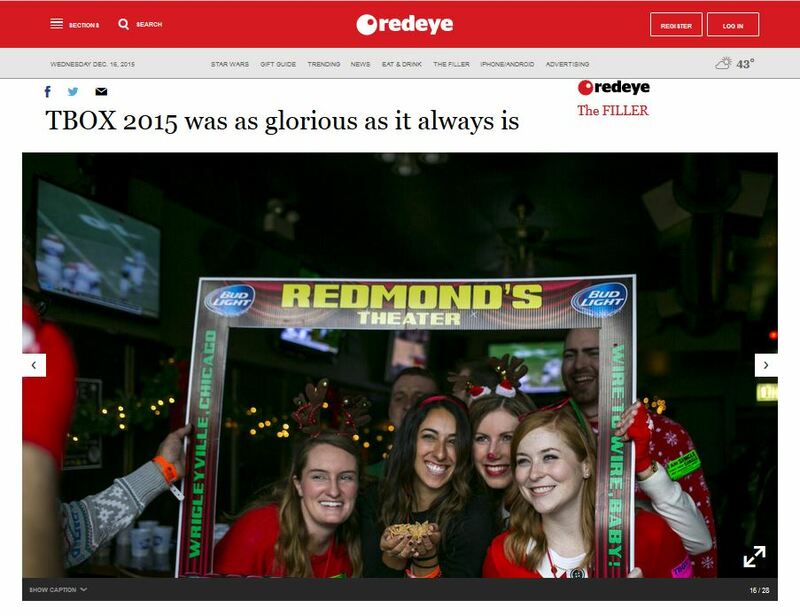 Chicago RedEye Entertainment Newspaper feature from 12/13/15 on #TBOX2015 – Click Here! 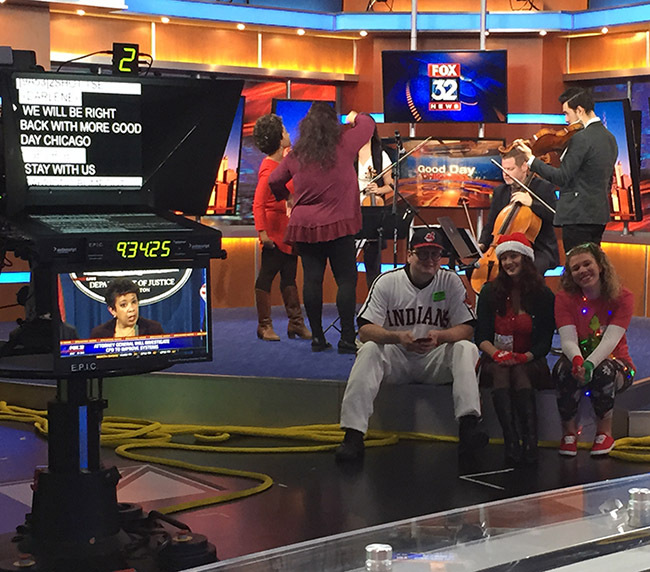 TBOX Founder and Festa Parties President Christopher Festa appeared on WFLD Fox-32 TV in Chicago, along with Royal Court Members Joe Wild, Michelle Mark, and Bridgid DeFranceschi in their TBOX Outfits. Enjoy the Video that appeared on Television the week before #TBOX2015 – 12/10/15. 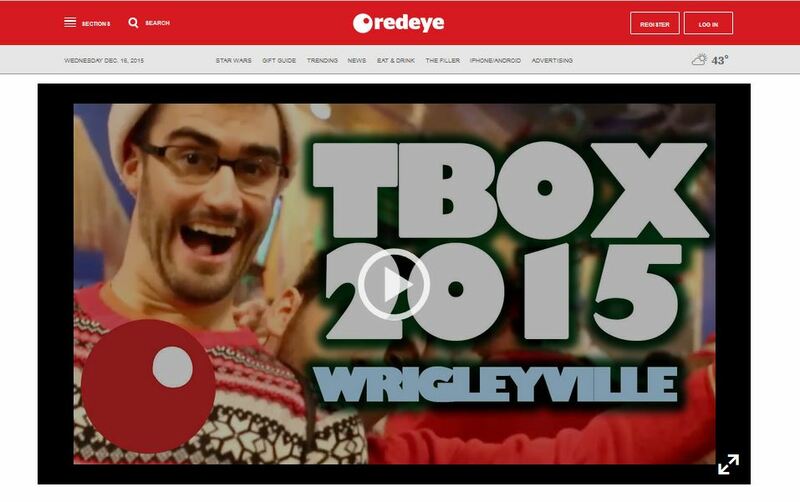 Chicagoist Blog Featured this Cool YouTube Video on #TBOX2015 – Festa’s 20th Annual Twelve Bars of Xmas Pub Crawl. Enjoy! 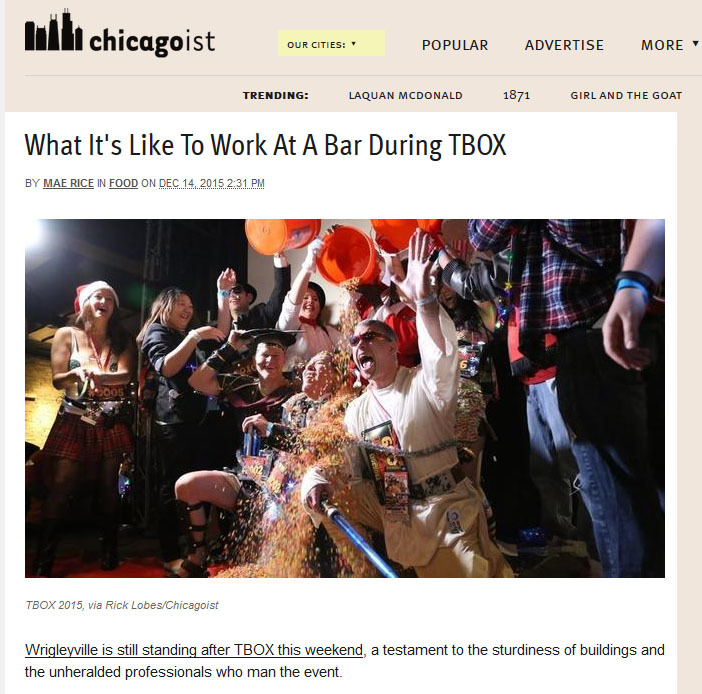 CHICAGOIST posted an article on “TBOX2015 in all its terrifying glory” — a photo feature – Link Here! 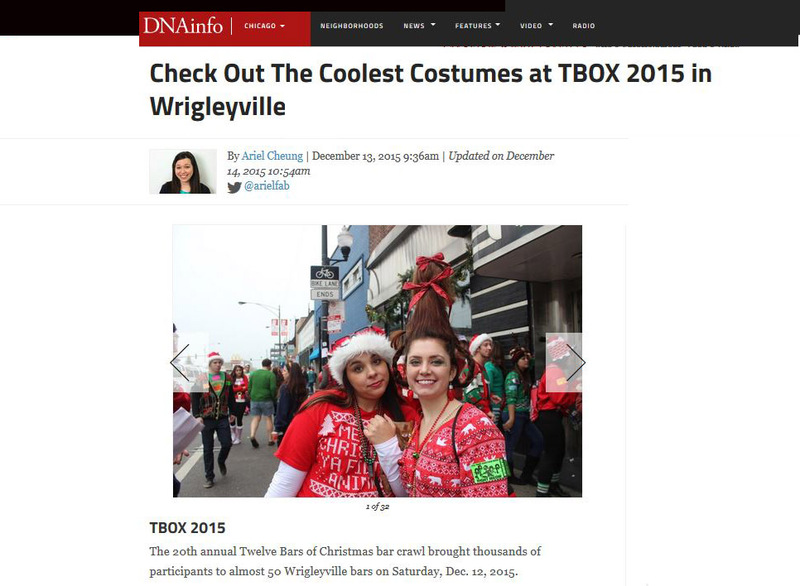 Chicago News Blog DNA Info Featured “Coolest Costumes at TBOX 2015” – Link Here! 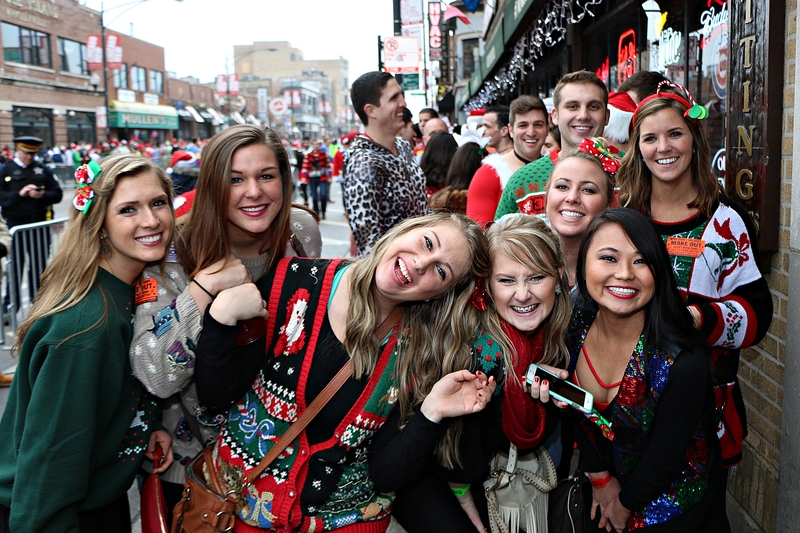 #TBOX2015 Professional Photos – Links Here! 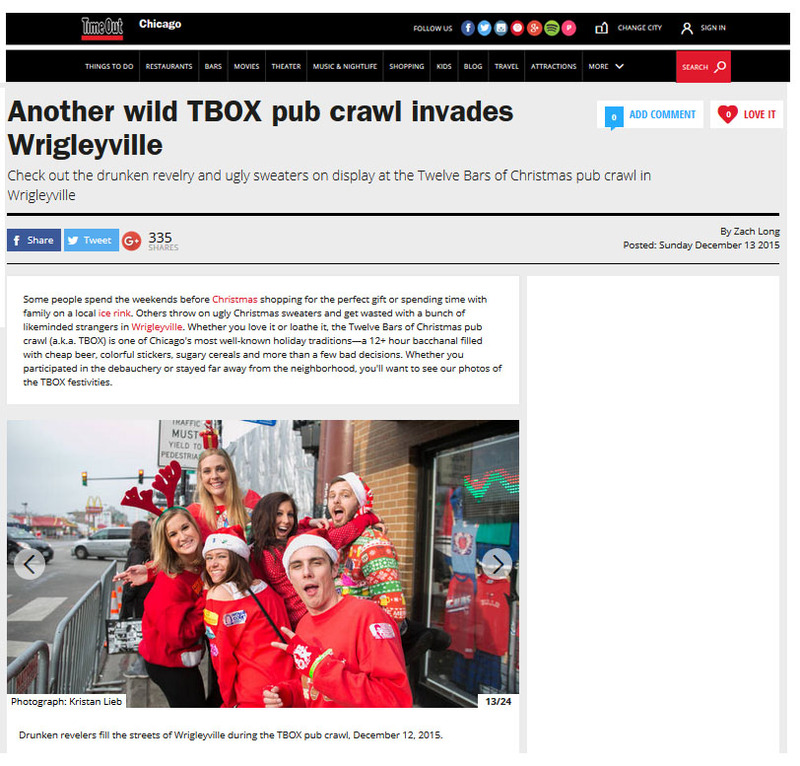 Chicago TimeOut Entertainment Magazine ran this feature on #TBOX2015 on December 13, 2015 – Click Here to View! Submit Your TBOX 2015 Photos!!! 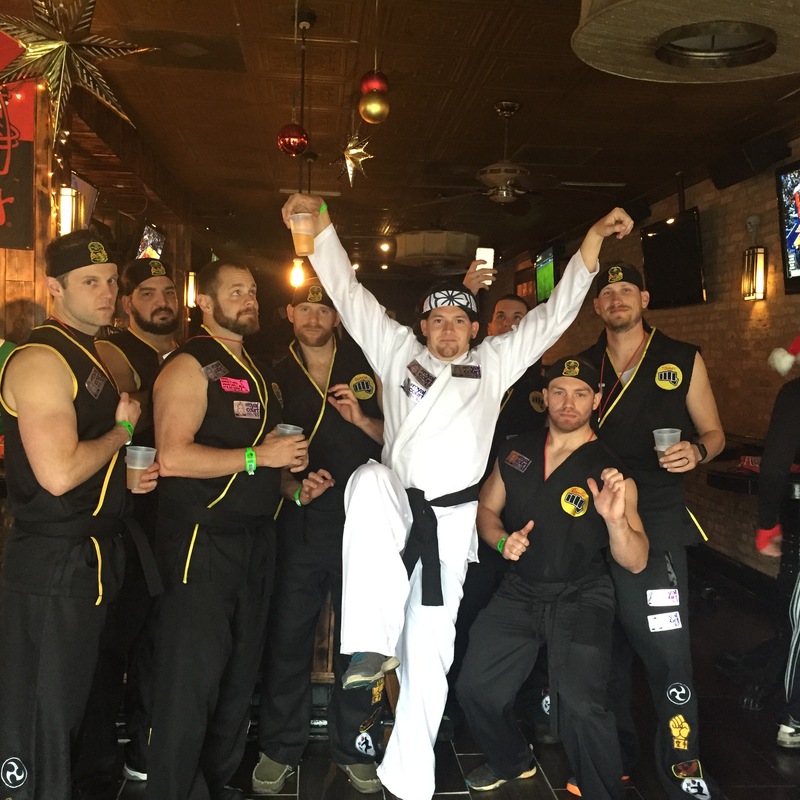 Did You Go Wire To Wire At TBOX 2015? PACKET PICKUP AND PURCHASE AT MURPHY’S BLEACHERS 8AM-8PM (Cash or Credit for purchase) or KIRKWOOD 10AM-1PM (Cash Only) BOOKMARK OUR MOBILE WEBPAGE HERE!! 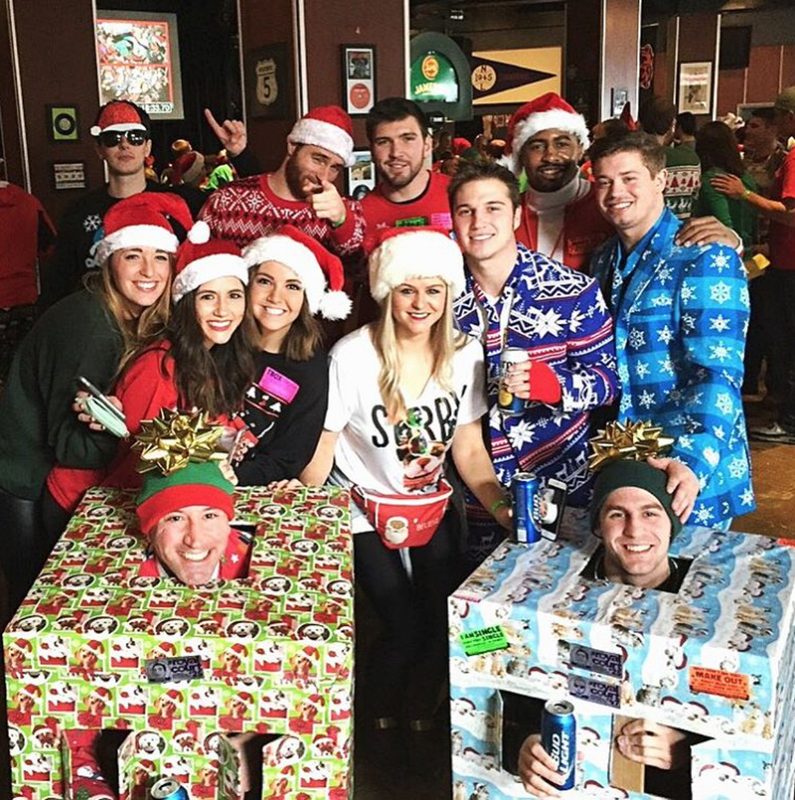 Chicagoist Blog interviewed our friend Shane Rak, GM of Duffy’s, about working the day of TBOX – Article Here! WIN tickets to Festa Parties Next Two Pub Crawls AND $100 Gift Certificate! Packet Pick Up Hours for TBOX Pub Crawl!!! 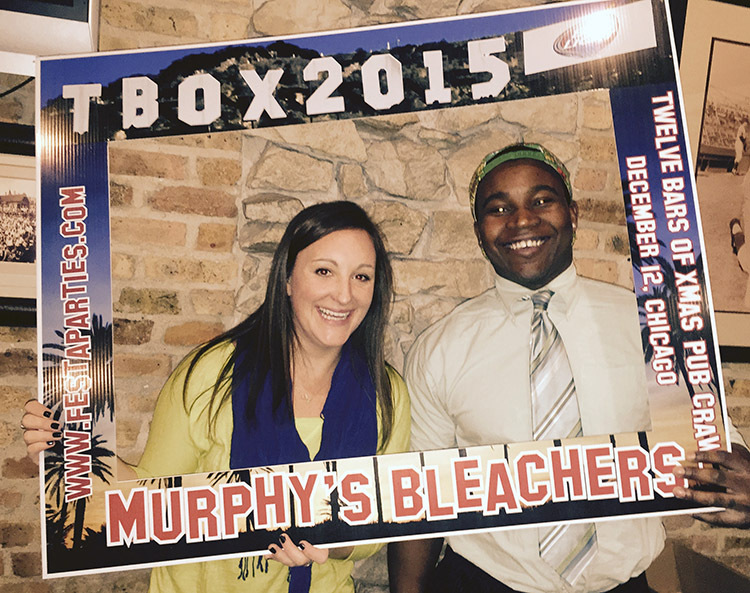 Skip the hassle of picking up your tickets the morning of TBOX and take advantage of our Customer Service being open EVERY day at Murphy’s Bleachers in Wrigleyville!! Packet Pick Up is OPEN, skip the hassle of picking up your wristband the morning of TBOX Pub Crawl and come get your Festa Parties goodies at Murphy’s Bleachers NOW! !